Xarelto (rivaroxaban) is a next-generation blood thinner that has seriously injured patients who are already vulnerable and ill. The drug is even alleged to have caused fatalities when doctors failed to stop patients internal bleeding. Attorneys for the families have filed wrongful death lawsuits alleging that Johnson & Johnson and Bayer have hidden the drugs dangerous side effects. Goldberg Weisman Cairo’s dangerous drug lawyers are investigating potential lawsuits on behalf of patients who have been harmed by Xarelto. If you suspect that you or someone you know has experienced pain and suffering from Xarelto, contact us for a free case evaluation. 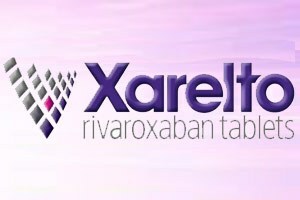 Xarelto is a popular anticoagulant first approved by the U.S. Food and Drug Administration (FDA) in 2011. Anticoagulants are also known as blood thinners, and the drugs are commonly prescribed to reduce the risk of stroke and blood clots in injured patients. The drug was marketed as a safer and more effective alternative towarfarin, the leading anticoagulant for decades. In many cases, Xarelto is prescribed to patients who have undergone serious surgeries in the hip or knee area. In these cases, the drug is supposed to reduce the likelihood of blood clots. This is especially concerning since the drug has been linked to severe and uncontrollable bleeding often requiring hospitalization. Plaintiffs are now claiming that the medication’s dangerous side effects were known to the drug companies and that they failed to warn safety regulators, doctors and patients about the dangers of the drug. The drug, which is marketed jointly by Johnson & Johnson and Bayer Corporation, has been prescribed to more than 1.4 million individuals. The Institute for Safe Medication Practices has designated Xarelto as one of the most dangerous prescription drugs on the market. The drug has some of the highest number of serious side effects reported to the FDA. Xarelto injury symptoms and side effects are serious and sometimes fatal. Even the most common negative side effect of Xarelto use can be dangerous.There are more than 150 deaths linked toXareltoand thousands of injuries have been reported to the FDA. Xarelto is dangerous precisely because of how it is designed to work. The drug is supposed to prevent clotting in order to reduce the risk of stroke or of an embolism. Because the drug prevents clotting, when an uncontrollable bleeding event does occur, the hemorrhaging continues until the drug is removed from the patients system. Xarelto competes with older blood thinners like warfarin. Unlike warfarin, however, Xarelto does not have a known antidote. Older blood thinners have a fast-acting antidote that can stop hemorrhaging immediately. The lack of an antidote, the misinformation about the drugs side effects and the danger it poses to patients, are all among the leading reasons that injured families and their attorneys have filed personal injury lawsuits. The pharmaceutical companies that produce drugs like Xarelto are all chasing a slice of what is a very large market. The annual market for anticoagulants is nearly $10 billion, and it is possible that in pursuit of this money, the drug companies have taken shortcuts. Since the drug has been so widely prescribed, thousands of Americans have been impacted. So many lawsuits have been filed that judges have consolidated the cases into a multidistrict litigation (MDL) proceeding to be handled in the same courts. Hundreds of lawsuits are pending in federal multidistrict litigation in the U.S. District Court, Eastern District of West Virginia. Patients have died because Xarelto was released without an antidote. When doctors failed to reverse the bleeding, patients hemorrhaged to death. Anyone who was prescribed Xarelto and developed uncontrollable bleeding or suffered an injury may be entitled to financial compensation.